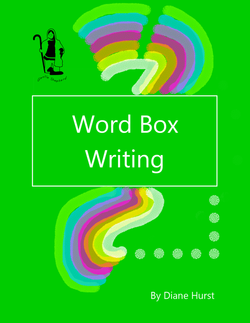 Have you ever heard the complaint, "I don't know what to write about!" 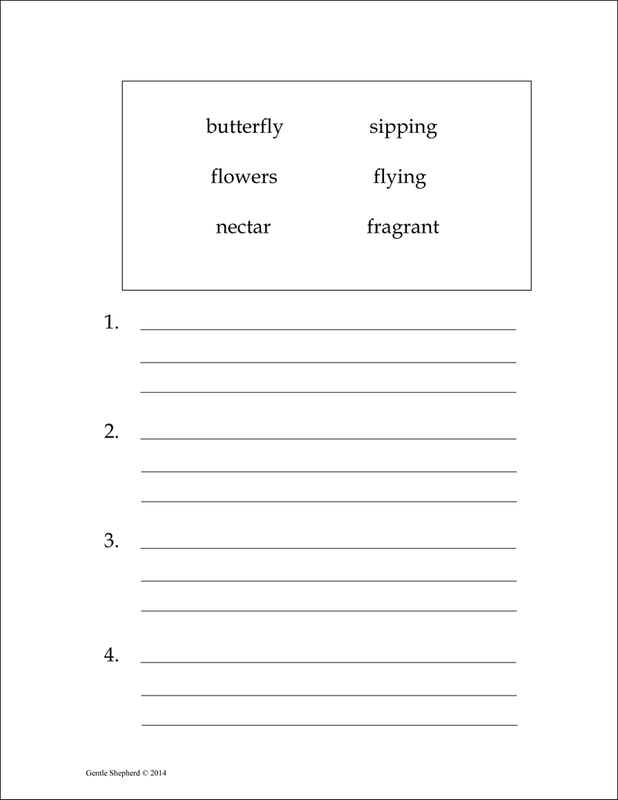 These 36 printable pages (can be used once a week during a school year) have writing prompts arranged in a unique way. Each "Word Box" has 6 words, all related to a certain topic. 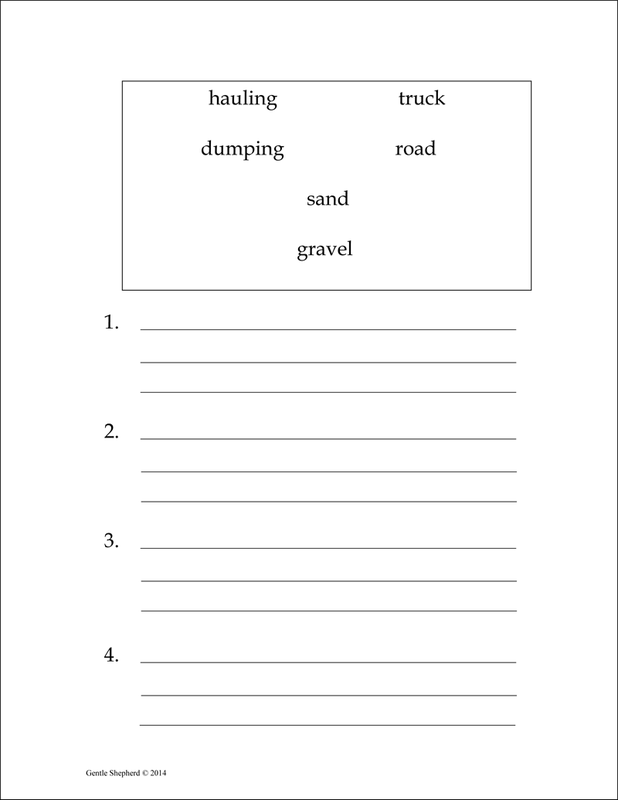 Students use their own imaginations to use the words in sentences-- the idea is to use ALL the words, but to make them part of only four sentences. 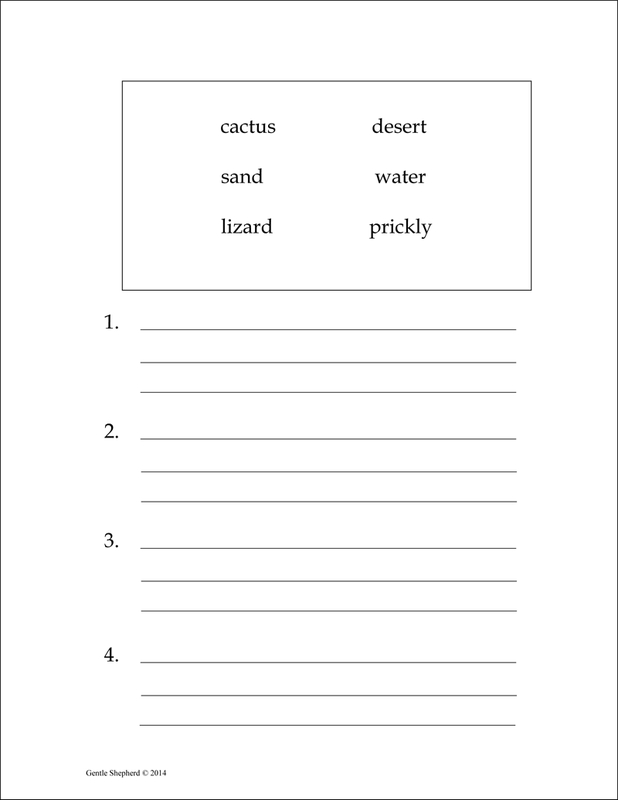 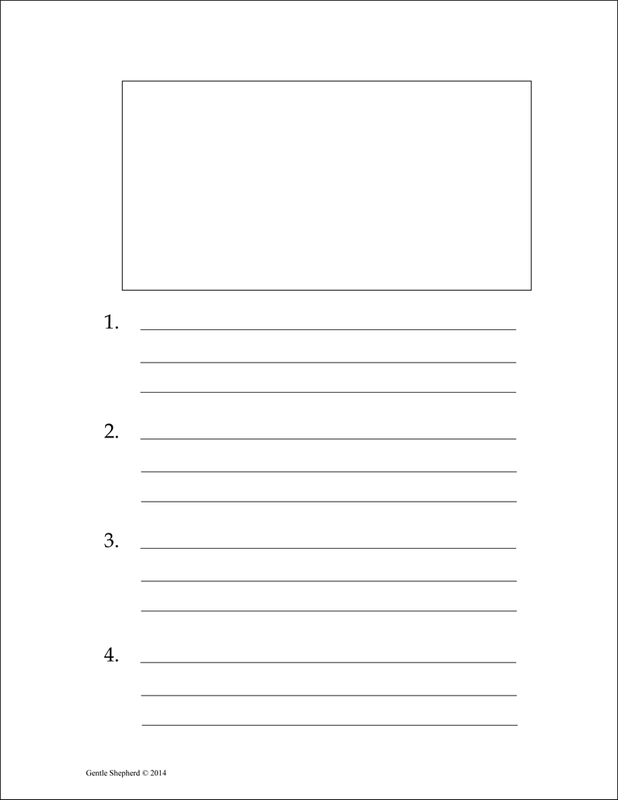 Printable pages for creative writing! 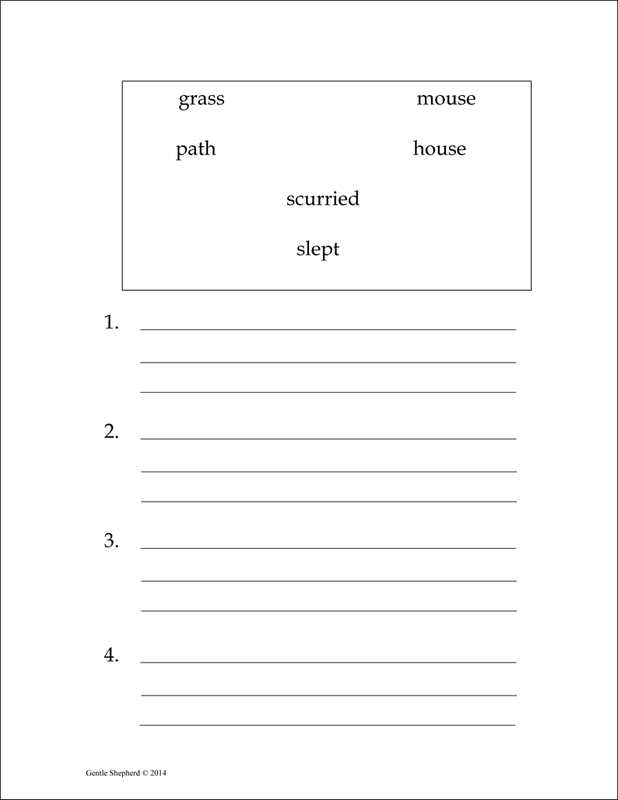 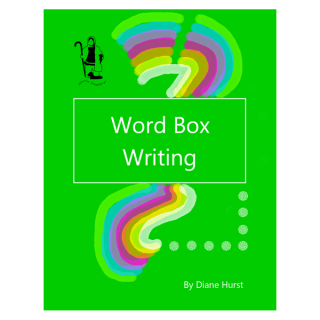 Some of the words will have to be used in more than one sentence; this requires some thinking, and helps train students in word choice and sentence arrangement skills.